Mother-of-Pearl is one of my very favorite materials to work with, especially if it's vintage. It gains an iridescent patina that is unique to each piece. 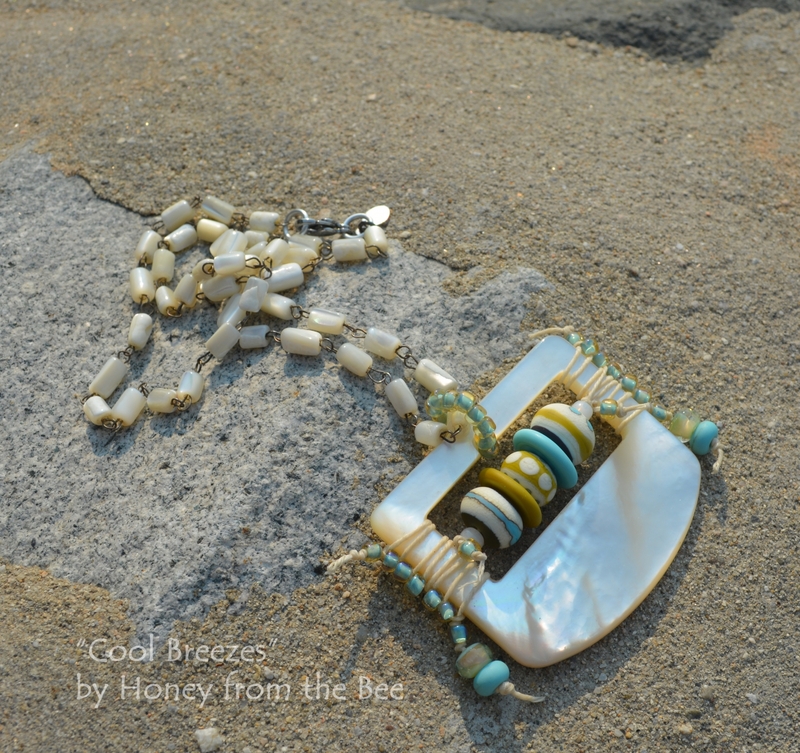 This ocean inspired statement necklace features both a vintage mother-of-pearl buckle and a vintage mother-of-pearl rosary style chain. I strung 5 lampwork beads by Pinocean in the empty space of the buckle. They are in cool shades of white, aqua, and a light sage green. Dangling off to the sides are lampwork beads from two other artists: Julie of UgliBeads and Radiant Minds. Japanese seed beads in shades of aqua and taupe decorate the buckle, too. Buckle pendant is just over 2 inches wide by 1 7/8 inches tall.